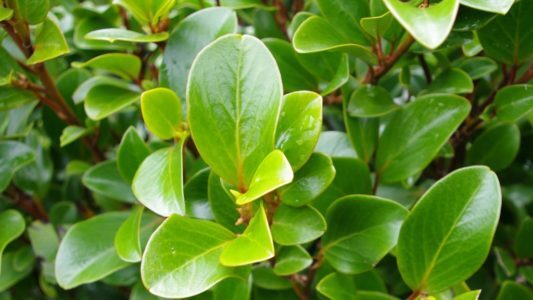 Myoporum is a compact, bright green shrub with fleshy leaves. 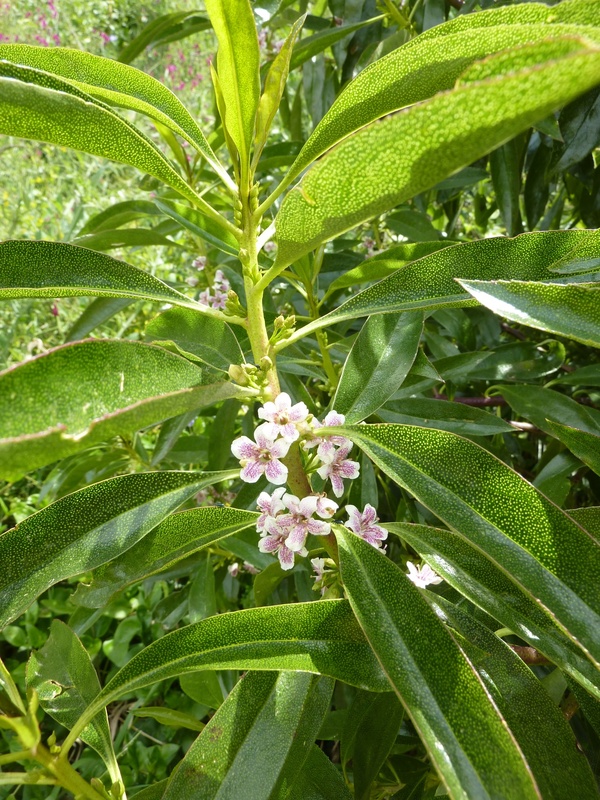 The plant produces small, inconspicuous white flowers with purple spots and clustered purple fruits. 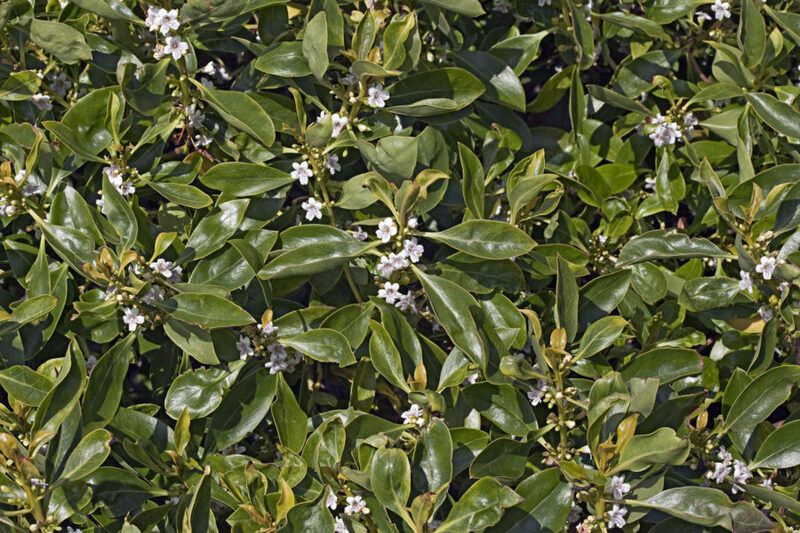 Myoporum was brought to the US from New Zealand as an ornamental plant used for screens and hedges. Mypoprum reproduces by generating a copious number of seeds. 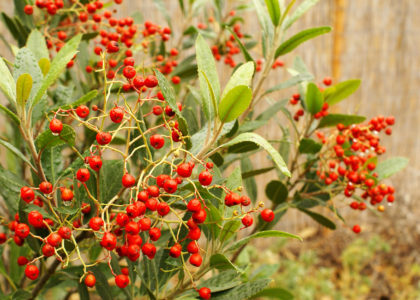 Birds eat the fruit and carry viable myoporum seeds in their digestive tracts over long distances. The plant does not reproduce vegetatively, but can resprout from a cut stump. 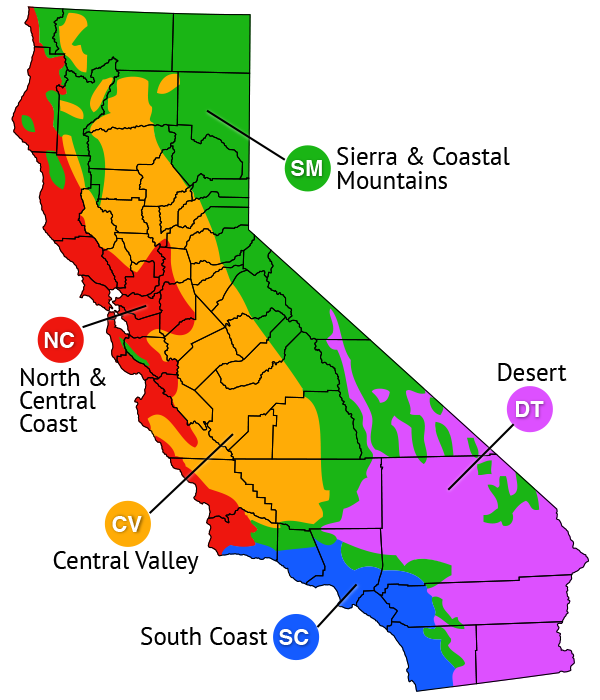 Myoporum is found in frost-free coastal areas in California, from the San Francisco Bay area south. 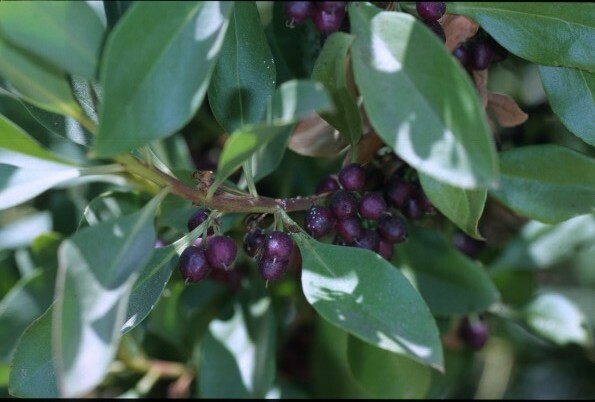 While the plant is surprisingly drought tolerant, myoporum also grows rapidly and reproduces easily in wet soils. 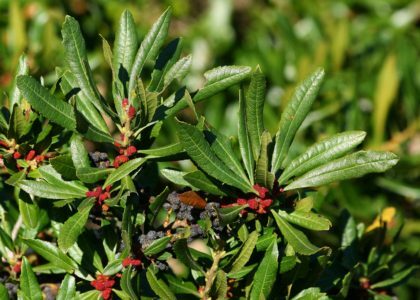 What problems does myoporum cause? 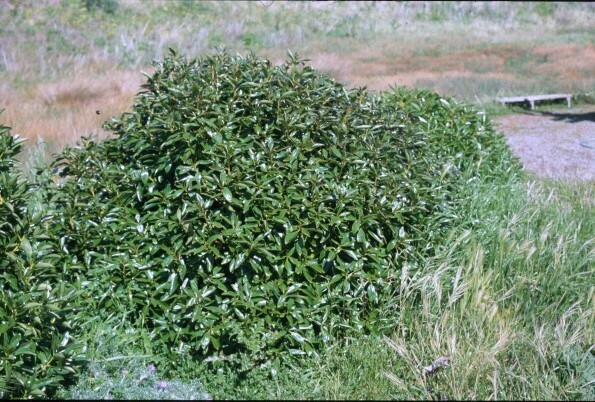 The shade from a dense stand of myoporum stunts or eliminates the growth of slower-growing native plant species. These dense stands are a result of myoporum’s heavy seed production and popularity as a food source for birds. 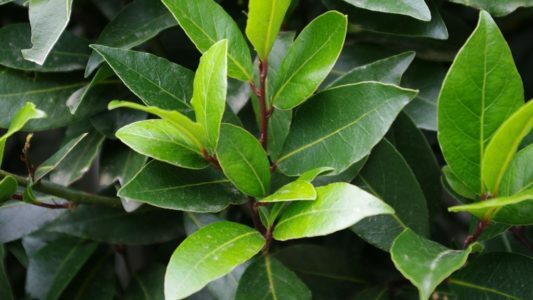 The leaves of this shrub are toxic, and may be fatal to livestock. 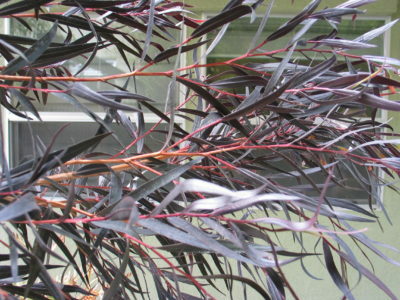 The interior of the myoporum shrub consists of a tangle of dead branches that is highly susceptible to wildfire.